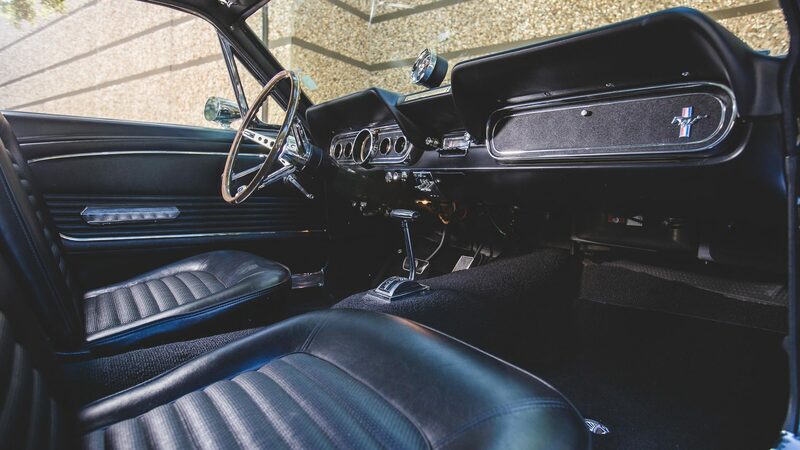 In 1966 an unusual agreement was made between Ford and the Hertz rental car company to deliver 1,003 examples of the Shelby Mustang GT350 for rental use by Hertz’s clientele. 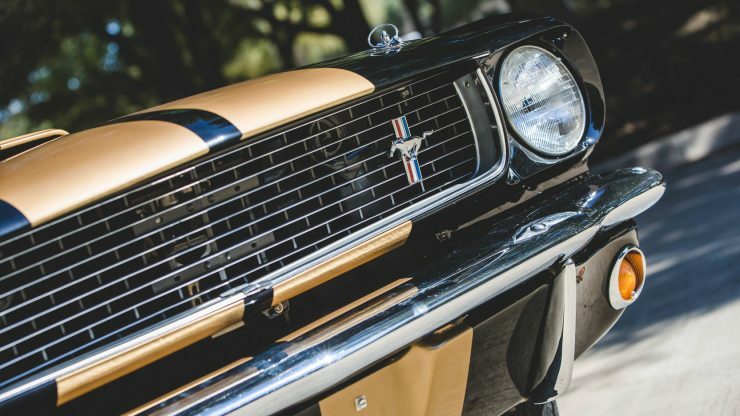 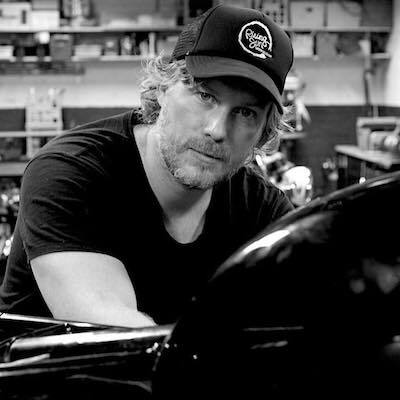 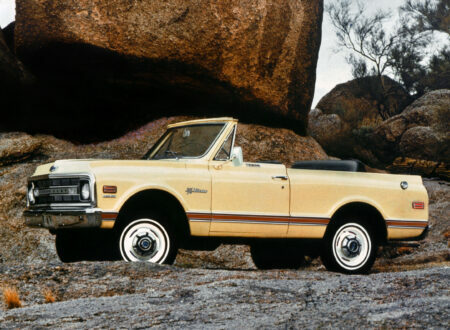 It was to be a double-barrelled marketing strategy that would boost the reputation of Hertz, and for Ford it would get huge numbers of people into Mustangs – many of whom would fall in love with the car and desire their own. 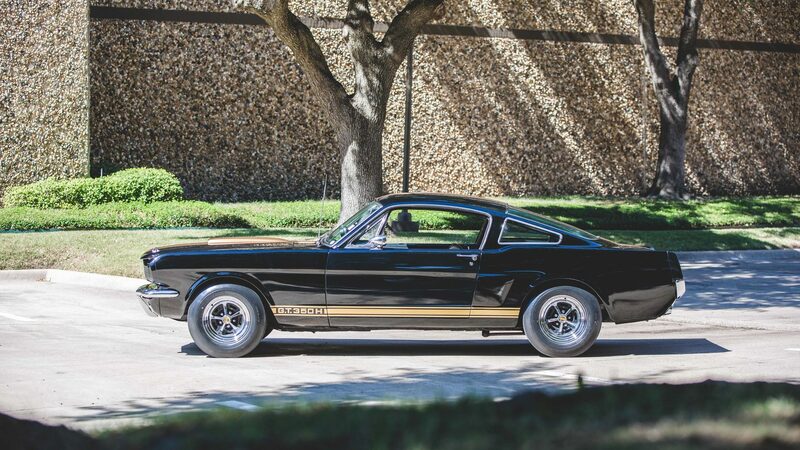 The first 80 GT350Hs that were delivered to Hertz had manual transmissions, and Hertz advertised them as “Rent-a-Racer” cars. Many stories have emerged in the years since of these cars arriving back at Hertz with evidence that roll cages had been welded in for racing – and some even had their engines removed, dropped into Mustang race cars for the weekend, and then replaced before being returned. 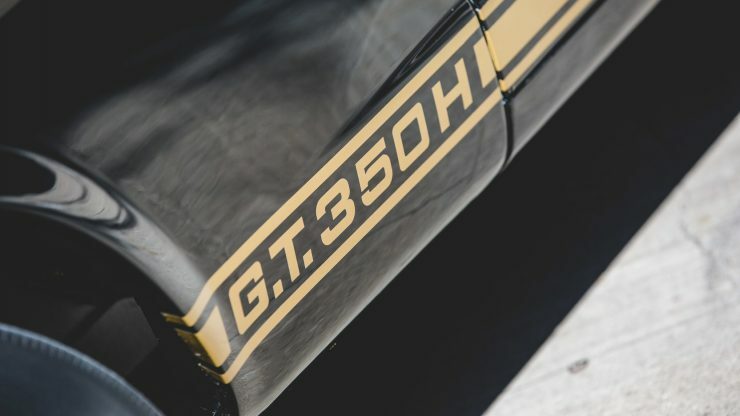 The desire to race the GT350H was understandable, it was one of the quickest road-legal muscle cars in the United States in 1966, and its Shelby heritage carried significant weight. 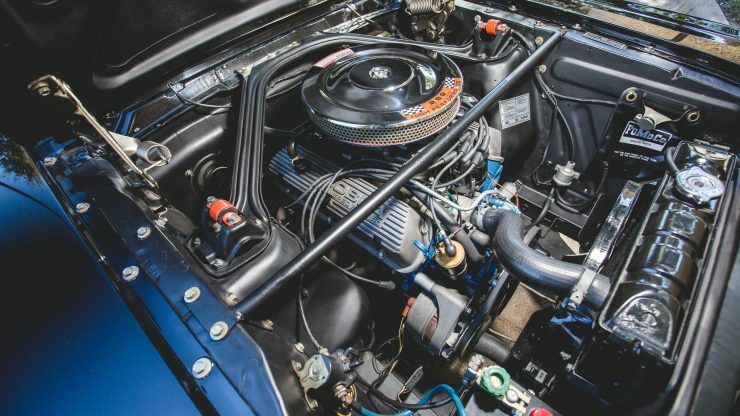 The Shelby-specification 289 cubic inch V8 produced 306bhp and 329 ft lbs thanks to high-riser manifolds, Tri-Y headers, and a four-barrel Holley carburettor, with twin exhausts. 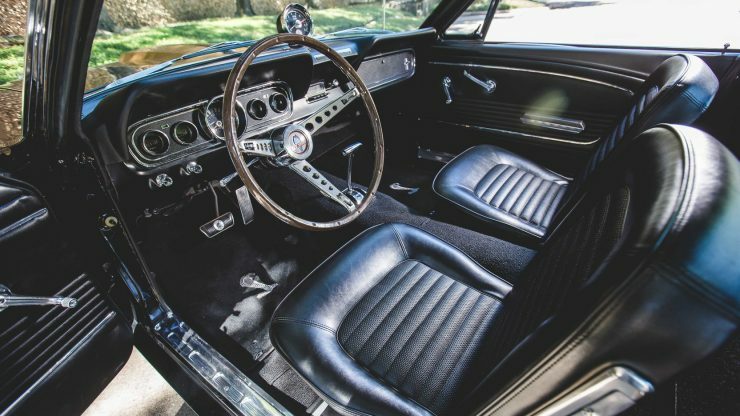 Larger rear drum brakes from the Ford Galaxie were used and Kelsey-Hayes front disc brakes were fitted to significantly improve braking ability over the stock ’66 Mustang. 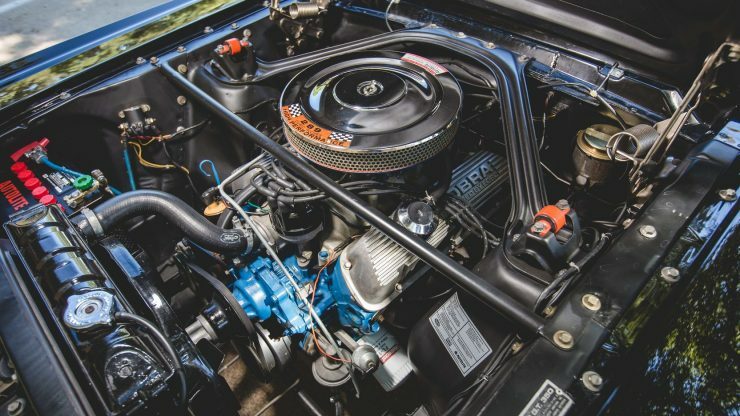 This was essential as the 0 to 60 mph time had been taken from over 9 seconds on the stock car, down to 7.3 seconds on the GT350. 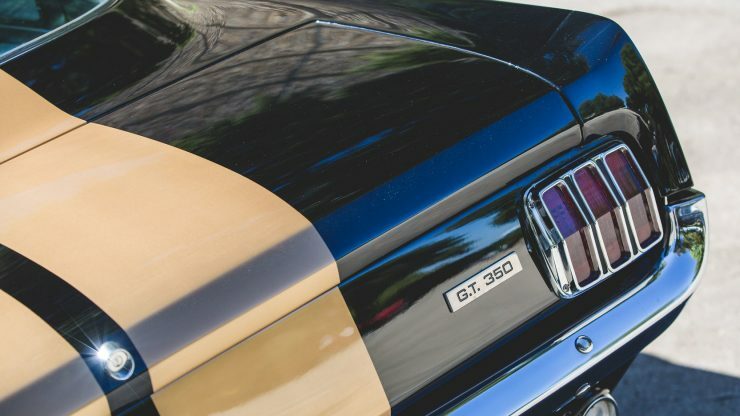 As a result of the enthusiastic amateur driving the original Shelby Mustang GT350Hs were subjected to, their values as post-rental cars were low. 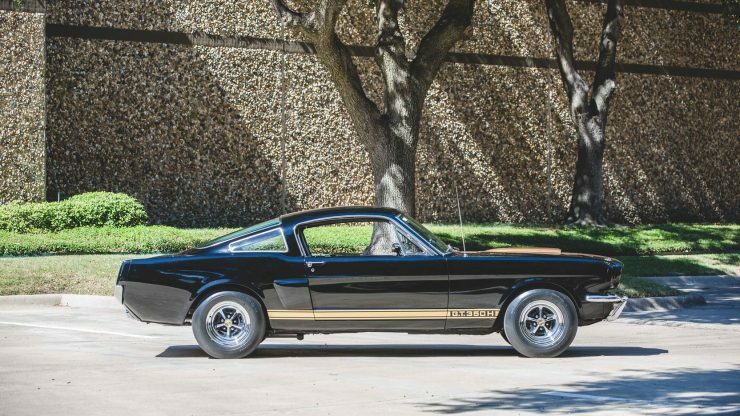 In fact they were very likely the least desirable cars to ever wear a Shelby badge until their desirability started to climb in more recent years. Today a well-presented Shelby GT350H is actually worth more than its non-Hertz counterpart and they’re keenly sought after by collectors. 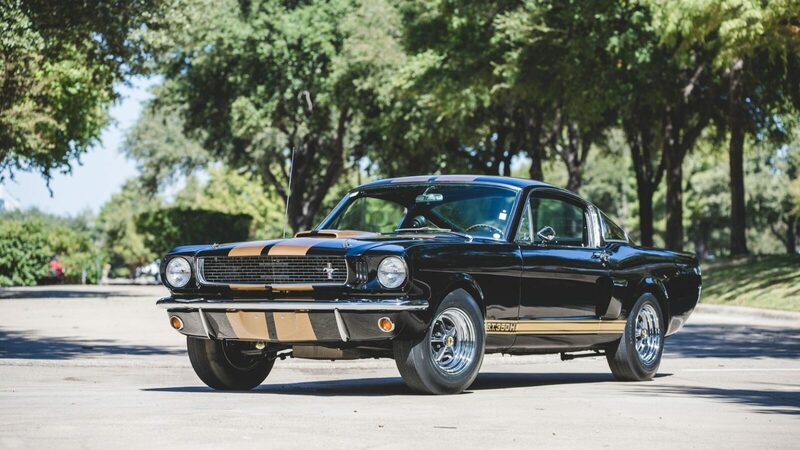 This particular example is worth more than most as it was previously owned by Carroll Shelby personally, and a former title with his name on it is included with the sale. 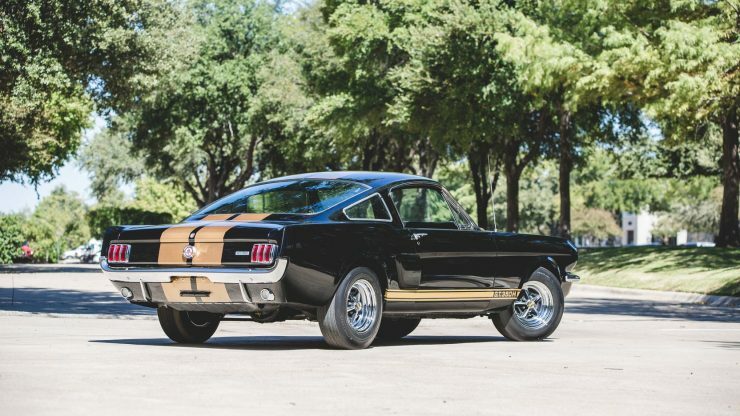 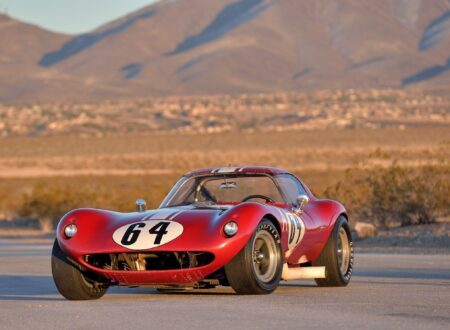 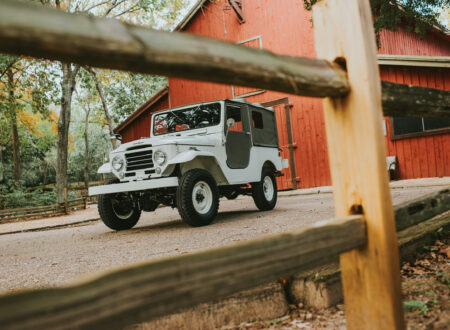 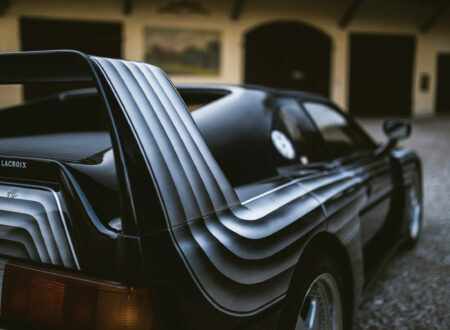 The car is due to be sold by Mecum at the Dallas Auction between November 2nd and the 5th, unsurprisingly there isn’t an estimated value attached to it, likely because it’s the only one of its kind, and it would be very hard to accurately guess what the bidding might reach on the day. 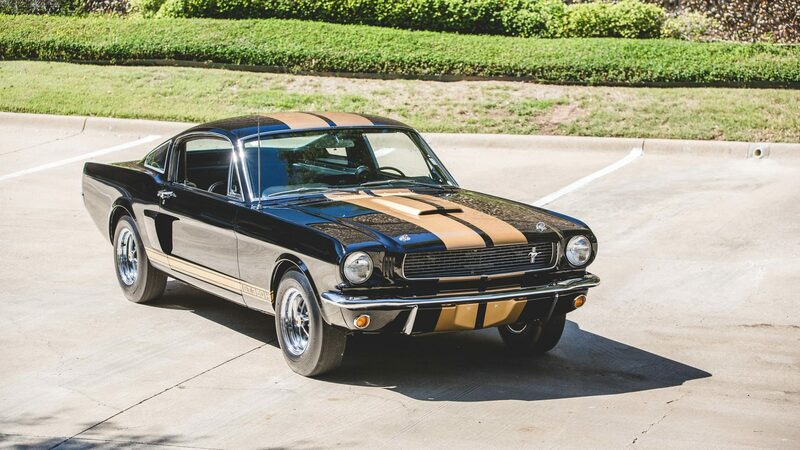 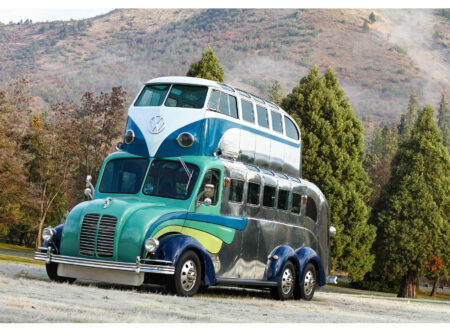 If you’d like to read more about the car or register to bid you can click here to visit Mecum Auctions.